Today, though it is not my usual day to post guest authors, I am introducing you to Guest Author Antje Hergt. She was supposed to be on Thursday, however, with doctor visits and Yom Kippur this week, I was unable to post it. I am sure you are going to love her work! You said you travel between Germany and Canada. How do you find going back and forth between countries? I love it. You get the best of both worlds. Canada was my favorite country ever since I read about it in a children’s novel and wanted to get to know it. Before I moved to Canada, I travelled lots of times to Ontario and Eastern Canada with my family or alone. Then I studied two semesters at SFU in Burnaby and in the end, it was a job offer that led me to the Albertan Rockies. Was there one person who inspired you to write? There are so many great children authors out there that I find it hard to select one, but if I had to choose, it would be Lucy Maud Montgomery. The person, who actually encouraged me to write, was a fellow business student. We both hated the subject, but had to pass it. So in order to motivate ourselves, we rewarded each other with writing and sharing a short story for every study session we finished. I collect random ideas for stories and books until I find one that sparks a story line. From then on, I plunge in and just write. Anything from scenes to dialogue and character descriptions, then I create an outline and rearranged everything. How did you get the idea for your character, Darinel Dragonhunter? Actually, from a Goodnight story for my friend’s son. He wanted a knight and fight story, but the dragon popped into my head and how misunderstood he was. So, I told him the scene when Prince Darinel and the dragon meet for the first time. 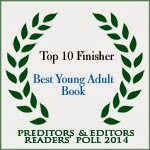 Please let us know the path your novel took to be published. To be honest, I never planed for that story to become a book, but the Banff Center for the Arts offered a creative writing course for children's books and I applied. It was a great course and I met very encouraging beginning fellow writers who urged me to continue and write my book. I wrote the first draft of the first and second book fairly fast and without knowing anything about the process of book publishing. Needless to say, after that came many more writing courses and the editing session of the first book and I got acquainted with slow and discouraging process of finding a publisher for my book. After many years and many rejection letters, I met my editor Nancy Bell as she gave a talk about e-book publishing and she encouraged me to submit to MuseitUp Publishing. 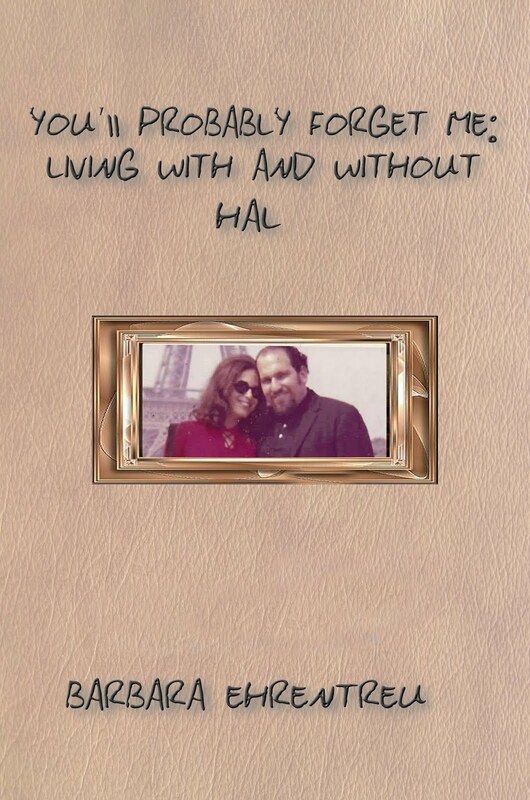 Nancy was my editor and she helped me to hone my book so well!! Are you a "pantser" or a plotter? I am more a ‘pantser’ and jump right into the story. I love flow writing and before I know it the characters are developed and demand their course of action. I love not always knowing where my story or characters take me. Do you have any books ready to be published? My first MG novel Darinel Dragonhunter was just released in June and I am editing the second book at the moment while writing the third one. Do you have any events planned to promote your novel? A fellow author threw me a facebook book release party shortly after the book was published and we had fun. My book appeared on various blogs of fellow authors and I am active with GoodReads. 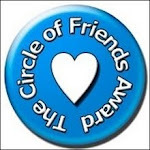 I still try to engage new readers through various new blog appearances and giveaways. They can always check out my latest interview or blog hop on my website: www.antjehergt.com or they can check out my facebook author page or follow me on Twitter @AntjeHergt. 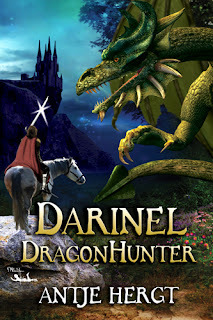 It is my pleasure, Antje and I know my readers would love to know more about your book, Darinel Dragonhunter. Prince Darinel is traveling–for what feels like forever. Expelled from his father’s kingdom, he just wants to find a new home. When a shadow lures him to a wealthy kingdom, he stays to discover more about the darkness, but the citizens are tight-lipped. Their king welcomes the foreign Prince hoping that he will solve his two problems: the dragon and his strong-willed daughter. Coming from a warrior kingdom, Darinel despises violence, but charmed by Princess Tuskja’s dare, he sets out to confront the beast. Instead of finding a fierce dragon, he finds a friend. The dragon’s malicious humor and his love of fairy tales entangle Darinel in a summer of adventures, while danger stirs in the East, the Dark Prince. Being refused by the Princess and humiliated by the dragon, this proud prince seeks revenge. In compliance with the king’s decree, Darinel is torn between his friendship with the dragon and his love for Princess Tuskja, whom he can only marry if he kills his friend. Before he can make a decision, the kingdom is under attack. Now it is up to the dragon to either help his friend or respect his wish to not interfere. “Oh no. Be my guest,” the voice replied, cheerfully. Darinel dismounted and reached to tie Tibor’s reins to the trunk of a tree, when a dark shadow swished over him. The horse bolted in panic and disappeared. Dumbfounded, he stared down the path they had just travelled. “Oops!” The voice sounded a bit regretful. “That was not supposed to happen.” Still shaking his head, he turned to a little sparkling stream at his feet and knelt beside it. He took off his helmet and splashed water onto his face and over his head. “It is a bit inconvenient, isn’t it?” the voice said. “But don’t worry, the way down always seems faster,” it added cheerfully. “Yeah, right!” the prince said with a smirk as he slid back to lean on a big boulder behind him. “Now you see I am no threat to you, won’t you come out and sit with me?” He ruffled his hand through his wet hair. “I’d love to, but don’t you know, there’s a fierce dragon in these mountains?” the voice pointed out. Antje, your book sounds delightful! Also, I am so happy to have learned more about you. :) I know you are giving away a free ebook to the lucky commenter who wins the drawing!! So please leave your comments. I had a lot of fun hosting you and learning more about you and your book, Darinel Dragonhunter. Born and raised in Germany, I came to explore the Canadian Rockies in Canmore, Alberta in 2003. Taking part in the Writing-with-Style Program at the Banff Centre for the Arts in 2007 encouraged me to follow my passion: writing for children. Darinel Dragonhunter is my first novel, which was inspired by my deep love for classic children literature and fairy tales. My thrill for science fiction/fantasy movies and television shows had an outlet in various genre short stories. I am a member of the Alberta Writer’s Guild and graduated from the Justus-Liebig-University in Giessen with a degree in Modern Languages. Currently, I live in Germany with my snoring cat, Sally, but I miss the magic of the Rocky Mountains. When I am not in Canmore, you can find me in Germany. Welcome Robert Lee Brewer of "Poetic Asides"
Today I am very happy to welcome Robert Brewer to my blog!! We have never met in person, but Robert has been a big influence on my writing for years. I joined "Poetic Asides" for the April Poem a Day challenge so many years ago I can't remember. However, when I joined and became part of what we now call "the Street" my true poetic essence emerged. At first I was shy and didn't comment much or participate with the more experienced poets there. I was in awe of the talent I saw every day on that blog. The poets there seemed to have a touch of the magical in their words and I was even more intimidated. However, one day someone commented on my poem and it was then I realized that we were all poets here and that I had truly found the place where I belonged. Each of us poets wrote to the prompt we found each day from Robert Brewer and the variety of poems was endless! Each of us had a different take on each prompt and soon my April was filled with poetry every day. After April was over I wanted to keep writing poetry, because all this poetry writing had ignited my love for poetry all over again! So I began to contribute to the Wednesday challenges and soon I became very friendly with many of the poets there. Now our core group of poets has formed Poeming Friends on Facebook and from this group we splintered off to the Anthologists. The Anthologists has written two poetry books which were the result of each poet who participated giving an equal number of poems for each one. The first book is called Prompted: An International Collection of Poems. The second book is called Beyond the Dark Room. All of the proceeds from each book goes to a charity. 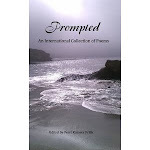 The first book, Prompted: An International Collection of Poems has a Forward by Robert Brewer my guest author. All of the prompts we used were created by him for various poetry challenges. Robert has been the heart of all of our poetic attainments and that April when I began to write poetry again gave me another way to express myself. Now several of my poems have been published in online magazines. Now you know a little more about why I am so excited to have Robert Brewer on my blog. I was very fortunate to interview him. I hope you enjoy learning more about him. I was born in Dayton, Ohio, and I now live in Duluth, Georgia, which is about 30 minutes from downtown Atlanta on the weekends and about an hour during rush hour. It’s funny. I didn’t start writing poems to become a poet; I started writing poems to impress a girl in high school. I was too shy to talk to her, so I wrote a poem. She liked it and thought I wrote others—so I started writing more. Eventually, I was hooked on writing them. As I was reading your profile, I noticed you had disc golfing. Please explain what disc golfing is. It’s kind of like playing golf with a Frisbee. The discs used are a little heavier, and they’re thrown at metal baskets. It’s a fun, low impact sport. What was your reason for starting “Poetic Asides”? The Writer’s Digest staff had an editorial meeting for the WritersDigest.com site years ago, and they wondered if anyone had an idea for a blog. At the time, I was a closet poet, but I wanted more exposure for poetry—so I raised my hand and suggested a poetry blog. I wanted to do it, but I didn’t have any poetry cred at all—just a love of writing poems. So they let me do it, but only with Nancy Breen, who was the editor of Poet’s Market at the time. It was a wonderful pairing, because I was friends with Nancy, and she taught me a great deal about poetry and the poetry universe. 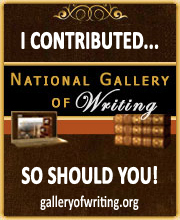 What would you say has been your most rewarding experience with “Poetic Asides”? There are so many moments, and the ones that are the most rewarding to me are when poets tell me they wrote their first poem ever because of the blog. As someone who loves writing poetry, I understand how important that can be to a person—to find a way to capture your own voice. Please describe for my readers a typical day of writing for you. There’s no typical day. That’s the first thing. Second, I write as I’m inspired. I always keep paper and pen on me, so it doesn’t matter if I’m at my desk or the park or earlier today at a book festival. I have five kids spread across two states—so I’m not afforded the luxury of a “normal” schedule. I have to scratch and claw for writing time in the spaces between breaking up fights and changing diapers. How did you get involved with Writers Digest? One of my creative writing professors (Erin McGraw) at the University of Cincinnati passed around a notebook for anyone interested in an internship on the first day of her class. She didn’t promise anything, and I totally forgot about it. Then, a few weeks after the quarter was over, I received a call from the F+W Media (then, F&W Publishing) HR department asking if I wanted to come in for an interview. I did. They liked me enough to keep me around, and it’s been more than 13 years now. 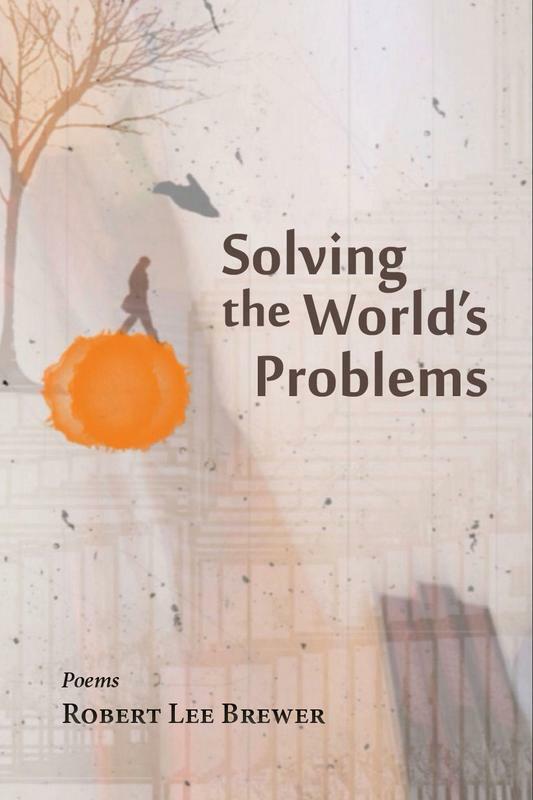 How did you decide which poems to include in your book, Solving the World’s Problems? The first draft—the draft that was accepted by Press 53—included what I considered my best poems. They were organized according to a loose structure that I understood, but that I would’ve been hard-pressed to explain. As I mentioned, that draft was good enough for an acceptance. After my editor read through it a couple times, he said it was fine “as is,” but then he said he saw the potential to make it something special. He let me decide whether to accept that challenge. Of course, I had to go for it. So we cut out several poems—even some of my best publication credits—and added in others that fit what we were trying to do. My editor had a vision, and I could see it too. That made it a much easier process than it could’ve been, because the final draft is very different from what was accepted. Do you have any WIP’s and are any of them ready to be published? I’m always writing poems, and now that my 2013 books are finished (the ones I edit and the poetry collection), I’ve had some time to submit them around to publications. It took me nearly 20 years of poeming to get that first collection together, so I’m not in a super rush to get the next one published. That said, I do have a couple projects in the works. What do you see yourself doing in five years? Will you continue to do “Poetic Asides”? In five years, I could be doing anything—or the same thing. I try not to “over” plan, because I’ve found that things rarely go to plan. Maybe that’s the parent in me. I hope "Poetic Asides" will still be relevant in five years. In fact, I hope I can find ways to make it more relevant. But I’ll take it one day at a time and see what happens. Give us the criteria you feel a poem needs to be truly great. Each poem has its own purpose and rules (whether it’s a traditional form or spoken word free verse piece), so I don’t think there’s a set of general criteria that can be used universally. Like people, I admire poems for the unique attractiveness. That said, I like poems that use sound, are accessible, and offer themselves up to further exploration. But I’ve found poems in nearly every school of poetry that I love. Of course, my wife is my favorite poet. But I’ll assume you want me to identify someone else. It’s impossible to pick just one poet, so I’ll name a few in no particular order (and even that list will be too short): William Carlos Williams, Anne Sexton, Walt Whitman, Emily Dickinson, Louise Gluck, Sandra Beasley, Barton Smock, Donald Hall, T.S. Eliot, Denise Duhamel, Nin Andrews, Aaron Belz, William Stafford, Jean Valentine, Gwendolyn Brooks, Patricia Fargnoli, Christian Bok, and a long list of fellow Roberts: Robert Bly, Robert Frost, Robert Kelly, Robert Fitzgerald, and Bob Hicok. Plus, growing up in the Dayton area, I have to include Paul Laurence Dunbar. Finally, which is your favorite poetic form? My first thought was sestina, but I don’t think I have a real favorite. I love learning new forms and wearing them out. I love making my own forms and figuring out what’s best for the poem I’m writing. Tammy and I have talked about collaborating on a collection for years now. We've actually collaborated on poems previously, and heck, that's how we found each other—through poetry. So we don't have anything specific planned, but I'm sure it's more a question of "when" than a question of "if." Robert Lee Brewer is Senior Content Editor for the Writer's Digest Writing Community, which means he gets paid to edit books, create blog posts, write a column for Writer's Digest magazine, edit a free weekly newsletter, and more fun stuff related to writing. 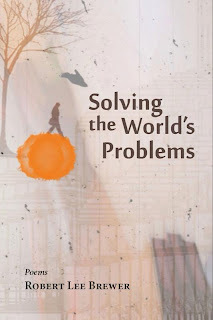 Voted Poet Laureate of the Blogosphere in 2010, Brewer recently released his debut collection of poetry, Solving the World's Problems (Press 53). He also curates the insta-poetry series for Virginia Quarterly Review. He's married to the poet Tammy Foster Brewer, who helps him keep track of their five little poets (four boys and one princess). Learn more at www.robertleebrewer.com. It has been so much fun to learn more about you, Robert and I hope you have enjoyed being here too. :) I know that I want to read more of your poems and you have decided to give away a free book to the lucky winner of the comment drawing. All you need to do is leave a comment and you are in the drawing. This post will be up for the whole week until next Thursday so you will have plenty of time to comment. Until the next time, my next guest author will be Antje Hergt who had to be bumped due to various reasons. 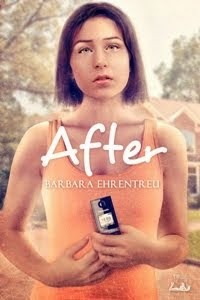 However, she will definitely be here next Thursday, September 12. Hope you enjoy Labor Day and Happy Rosh Hashanah to all my readers who celebrate it. :) We will be having a dinner on the very last night of the holiday. Happy New Year to all!! !